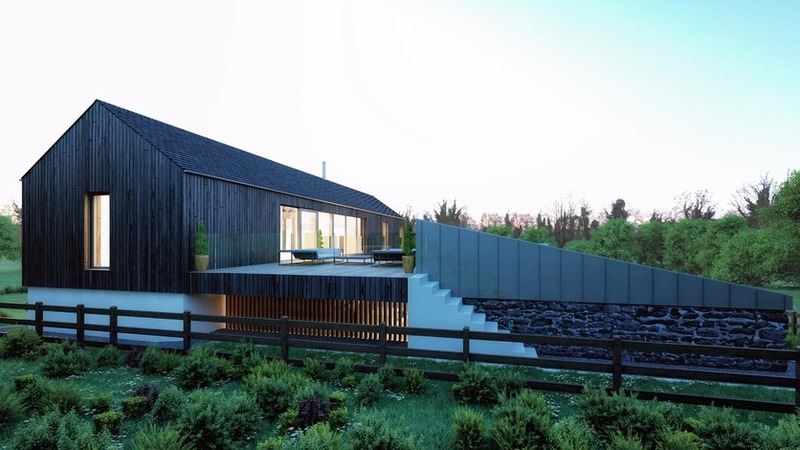 Sited close to the shoreline of Strangford Lough this house references an Irish long barn. The bottom half is predominantly solid and of heavy weight construction whilst the top half is the opposite, responding to the agricultural buildings found along this stretch of shoreline. 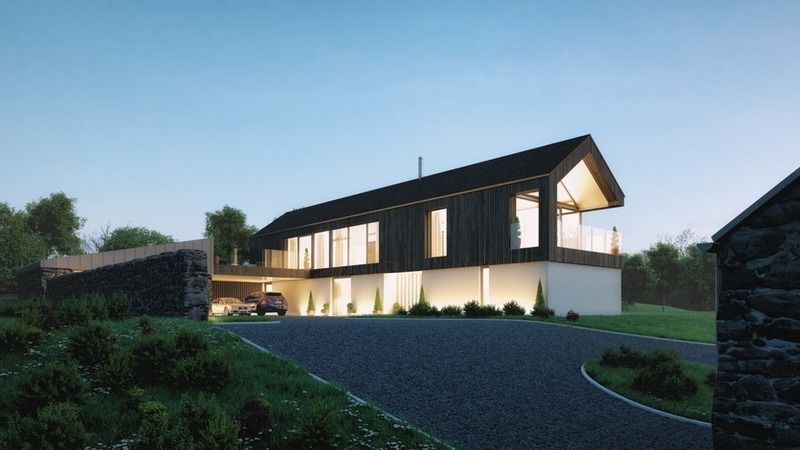 Within this simple linear plan the living spaces are located upstairs to maximise the views towards the Lough and the lower floor contains the bedrooms. 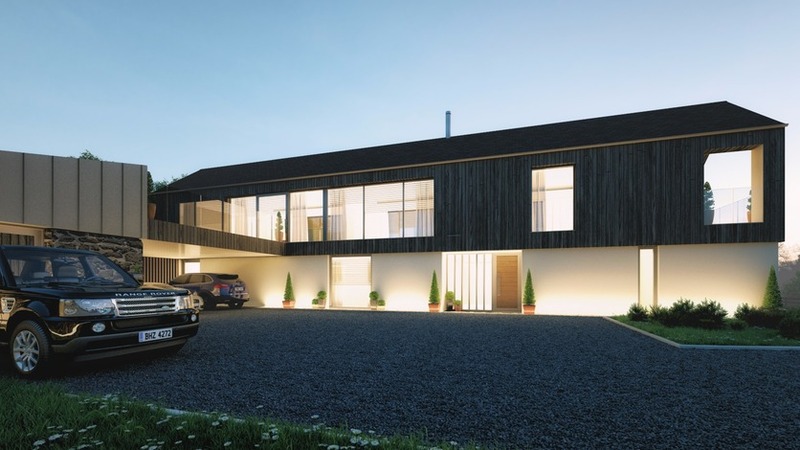 The narrow plan runs from north to south and is glazed on both sides allowing sun rise to enter the house at the front while the sun sets around the back which in turn is the more shelter portion of the site. 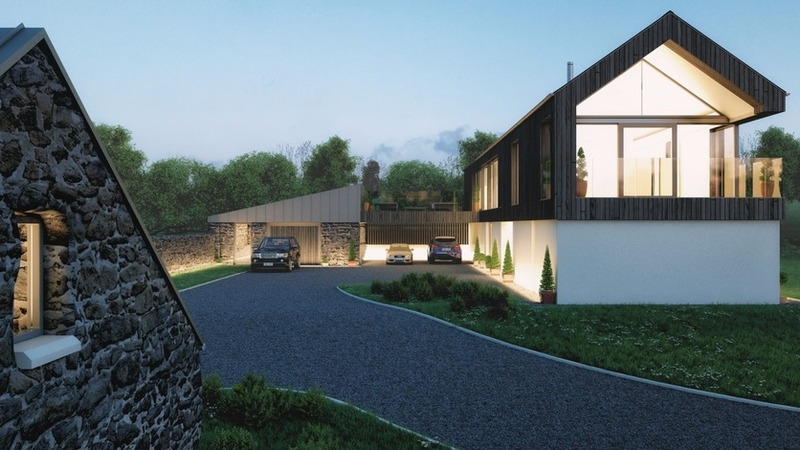 A sheltered outdoor room with covered parking below links the house to the mono-pitched garage. 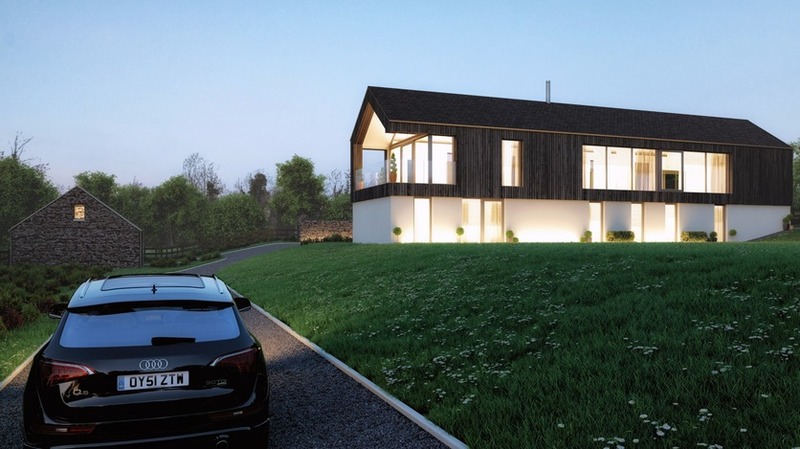 This west facing terrace benefits from the afternoon and evening sun yet also enjoys lough views back through the dual glazed living space. 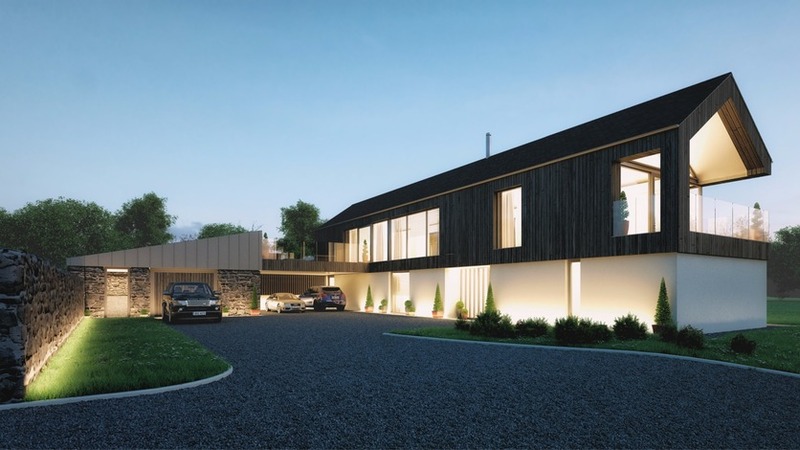 The house is finished with smooth render with black timber cladding on top and the garage is built from stone with a zinc roof.